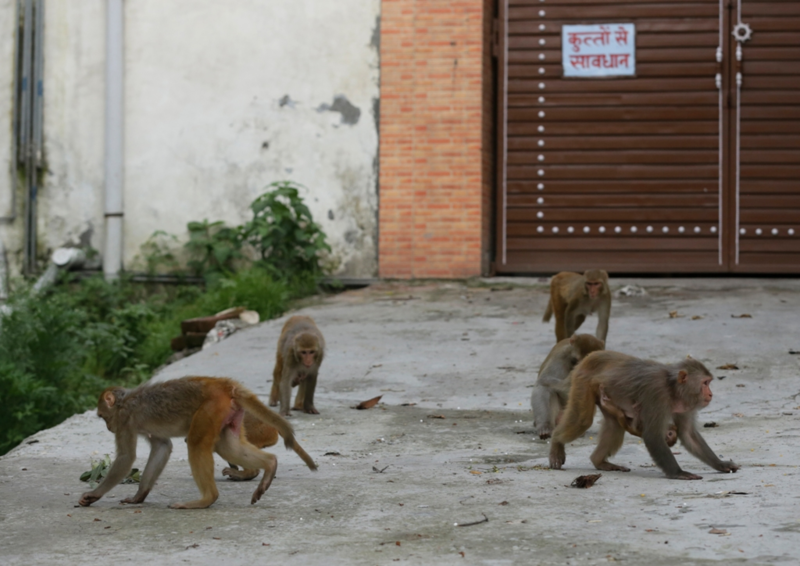 After months of appeals by farmers who have sustained heavy agricultural losses due to the monkey menace in the state, the Rhesus macaque has finally been declared as vermin in Himachal Pradesh. The notification was issued on May 24 and the monkeys will be treated as vermin for a period of one year in 38 tehsils of 10 districts. The Union government had earlier declared monkeys as vermin in Shimla Municipal Corporation area for a period of six months. A petition challenging the notification is pending in court. Meanwhile, ministers in the Modi Cabinet are engaged in a war of words over animal killings. In a direct attack on her Cabinet colleague, Environment Minister Prakash Javadekar, Maneka Gandhi said on June 9 that the environment ministry is "frivolously granting permission to kill innocent animals". Her comments were in the context of government orders declaring monkeys as vermin in Himachal Pradesh and nilgai as vermin in Bihar. In the last six days, over 200 nilgai have been killed in Bihar. "The environment ministry here is writing to every state asking them which animal they want to kill and they will grant permission. In Bengal, they gave permission to kill elephants, in Himachal they gave permission to kill monkeys, in Goa they gave permission to kill peacocks. In Chandrapur, where the conditions are so hostile, 53 wild boars have already been killed and they have accorded permission to kill 50 more. Wildlife department under the environment ministry has said that they don’t want to kill and that the Centre should stop pressurising them,” Gandhi said. "Pataa nahi kya havas aa gayi hai maarne ki (I don’t understand their lust to kill)." Gandhi also criticised the Bihar government’s appeal to the Centre to allow them to hire professional shooters to kill nilgai. Gandhi said, "The shooters hail from a family which comes from Hyderabad and they roam around the nation and kill animals. Such an incident has taken place for the first time in Bihar. Such a massacre has never taken place, where deer, which is a protected animal, in huge numbers have been killed." Minutes later, Javadekar said to the media, "When state governments write to us about farmers suffering due to crop damage by animals, then such permissions are given. It is on the recommendation of state governments and it is an old law."